Undertaking to write a novel is a major commitment -- of time, effort, and self. It's no wonder that to first see one's novel in print (or publicly available electrons) is a rush. I believe that's true no matter how often one has gone through the process. As is the case today, with Energized. This is my dozenth novel -- and to see it released is as satisfying as my first time. Maybe that's because, at least in hindsight, this novel was inevitable. 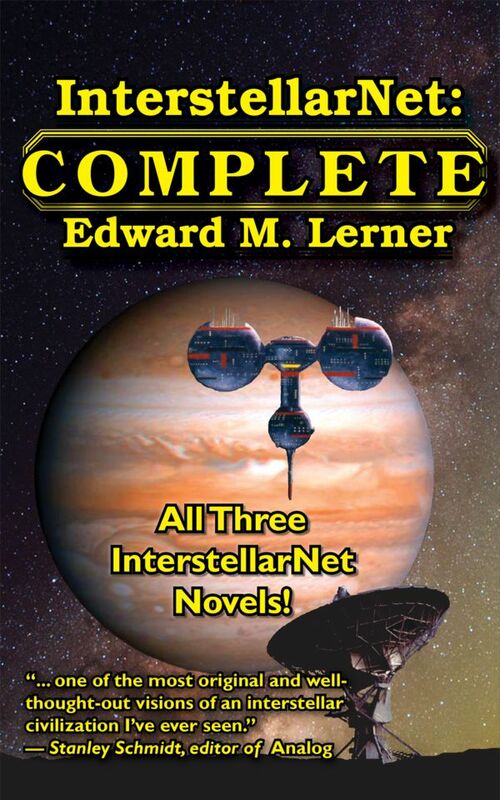 The cover alone tells you this is a book involving near-Earth space. I'm a physicist and computer scientist. Before I graduated to full-time writing, I spent thirty years at high tech companies, seven of those as a NASA contractor. I've flown the space-shuttle simulator (and respect the heck out of anyone who could fly the real thing -- it had the aerodynamic properties of a brick). I've toured the space-station simulator and a comsat factory, and watched a space-shuttle launch. 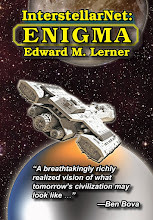 I just wish that, like the hero of Energized, I had had the opportunity to visit -- again, reference the nearby cover -- a solar power satellite on location. So what is this novel about? I’m glad you asked. One geopolitical miscalculation sufficed to taint major oil fields with radioactivity and plunge the Middle East into chaos. The oil that remains usable is more prized than ever. No one can build solar farms, wind farms, and electric cars quickly enough to cope. The few countries still able to export oil and natural gas -- Russia chief among them -- have a stranglehold on the world economy. And then Phoebe appeared. Rather than divert the onrushing asteroid, America captured it into Earth orbit. Solar power satellites -- cheaply mass-produced in orbit with resources mined from the new moon, to beam vast amounts of power to the ground -- offer America its last best hope of avoiding servitude and economic ruin. As though building miles-across structures in space isn't challenging enough, special interests, everyone from technophobes to eco-extremists to radio astronomers, want to stop the project. And the remaining petro powers will do anything to protect their newfound dominance of world affairs. Even though nothing in his job description mentions combating an international cabal, or going into space to do it. 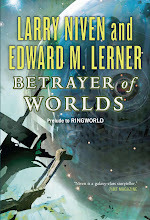 "Lerner plows right into orbit with this tech-filled engaging story ..."
"This is a big one. A big plot with big players. Big ideas. And big, big adventure ... on earth and in outer space, too. Edward Lerner has given us a fast, futuristic, and fascinating thriller about the biggest issue we face: how do we power our planet and our private lives? A great read." Curious? 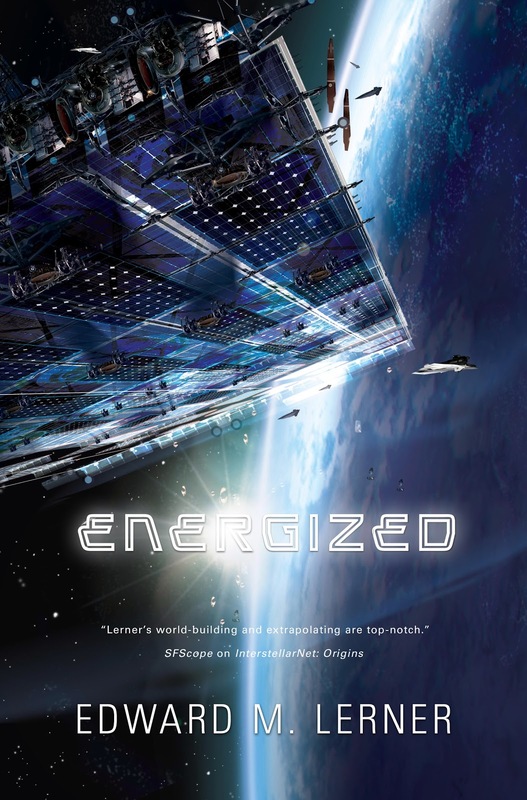 Check out Energized in hardback at Amazon or Energized for the Kindle. (Also available in other ebook formats, audio formats, and from other etailers and bookstores.) Or try the Energized excerpt on the publisher's website.